3AM and SunScapes is ready to load salt for me. Called Joey about 2AM to confirm they're open and showed up at 3AM to meet Chris at the door. What great customer service! Chris also helped take my spreader off and reinstalled it. I will definitely be back for some mulch in the spring. 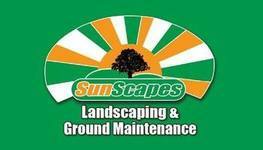 Contacted Joey at Sunscapes a few days ago to inquire about mulch prices. I received unbeatable customer service throughout the entire process and a great product as well! My home looks so much better with their mulch in my beds. I would recommend this company to anyone!! Best service I've ever seen. Very professional and would definitely recommend these guys to anyone I know! Thanks for everything! It's great. Great job every time. The grass is always greener with Sunscapes.